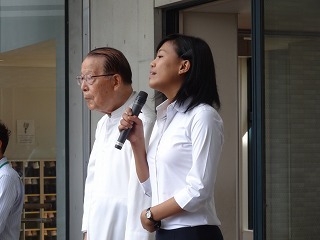 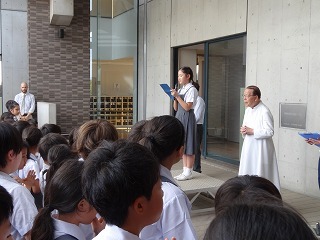 On September 2nd, Father Tagawa officially opened the second semester at Gyosei International Primary School. 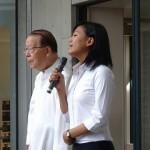 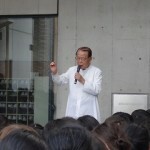 In his speech he greeted the students after a long and fruitful summer vacation. 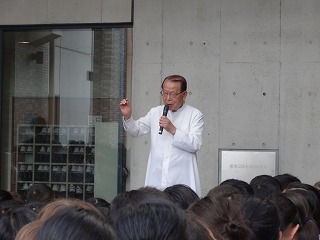 He encouraged the students to focus on studying hard throughout the upcoming semester, whilst also preparing for the upcoming sports festival and school bazaar. 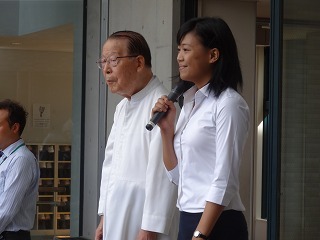 Several students were also recognized for their achievements in the Eiken English Test and in the 62nd Chiba Prefectural Calligraphy Competition. 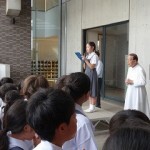 These included Suisei Nakagawa of 3B class, who was able to pass the Pre-1 Grade of the Eiken exam. 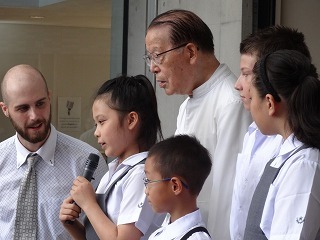 Four students from grades 2 to 6 were also awarded top prizes in the calligraphy competition. 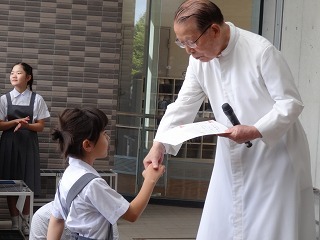 Finally to the parents, we ask for your continued help and support over the coming semester, particularly with so many important events in the calendar including the school bazaar, sports festival and the Christmas mass.